CaterFit Yuma takes the stress out of meal planning and preparation. Don’t have time and miss meals? We got you. Don’t want or know how to cook healthy meals? We got you. You want to lose weight but your current meals aren’t cutting it? We got you. We deliver fresh and delicious balanced meals for our customers that want to either improve their health, lose weight or that want to eat for performance. 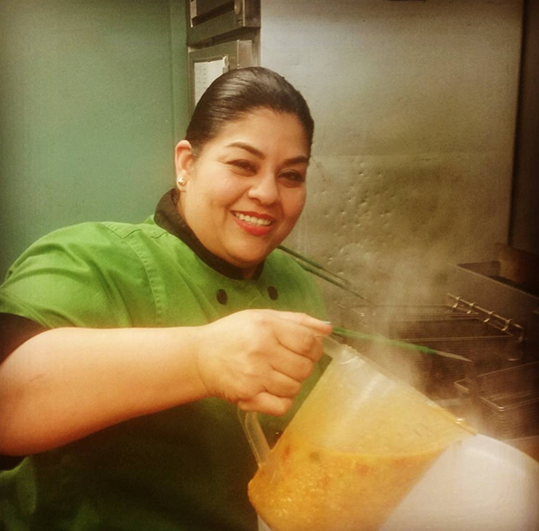 Chef Lucy Sedano has been cooking for over 22 years. Her dream started at the age of 6 when she helped her grandmother prepare meals. They would spend countless hours in the kitchen discussing making meals from scratch, like making corn tortillas the traditional way with no electrical equipment but rather with bare hands. It seemed that from these encounters with her grandmother, her senses such as smell, touch, taste and visuals awoke inside and her passion for cooking began. After 15 years in the industry Lucy went on to take her skills to another level and pursue her studies in Culinary Arts and Dietary management along with a bachelors degree in business and management. Using the newly acquired knowledge and her passion for cooking she began her new journey with CaterFit Yuma in 2016.